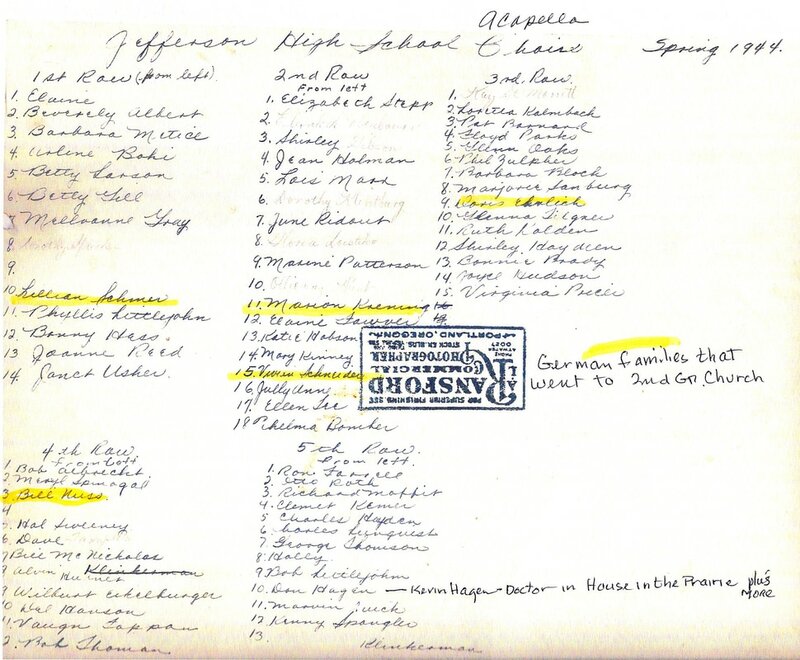 Many Volga German children attended Jefferson High School where they were broadly represented in all aspects of academic and athletic endeavors. 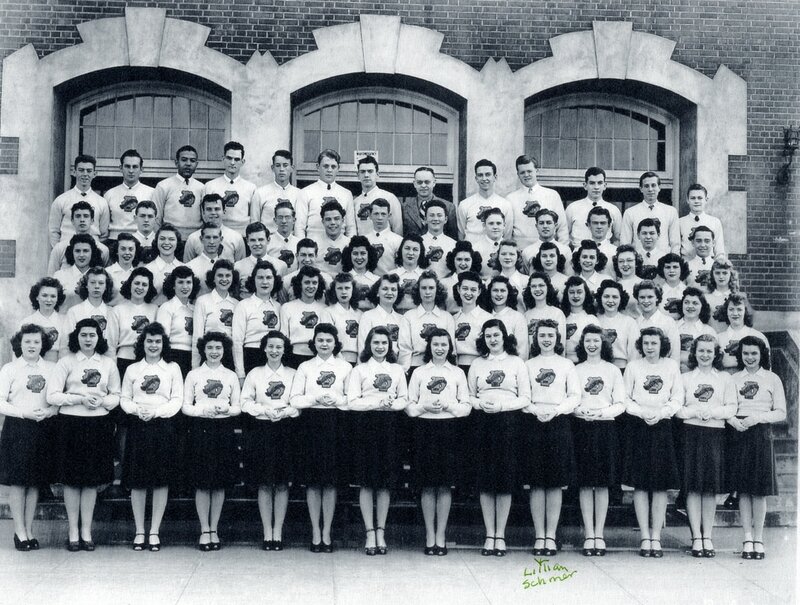 The Jefferson HIgh School Acapella Choir of 1944. Photograph courtesy of Lillian Lawrence (née Schmer) who is standing in the front row. A list of people shown in the photos is presented below. 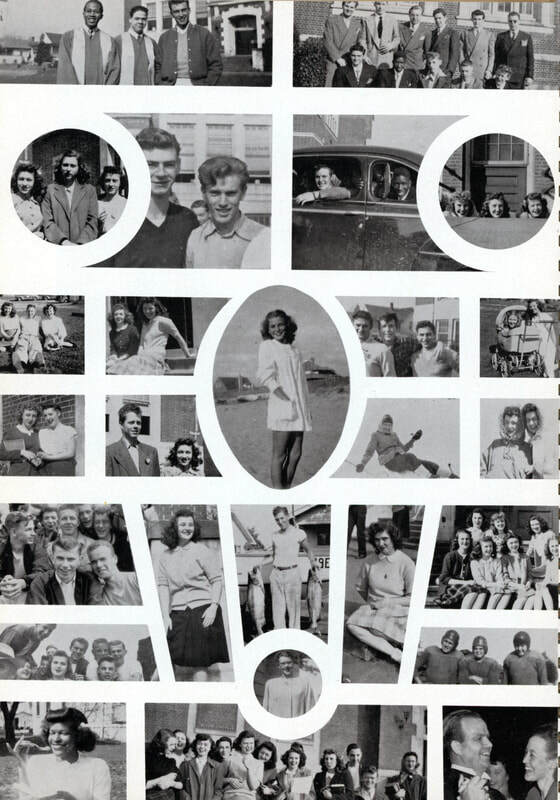 Photograph collage from the 1946-1947Jefferson High School yearbook "Spectrum". Courtesy of Harold Kammerzell. 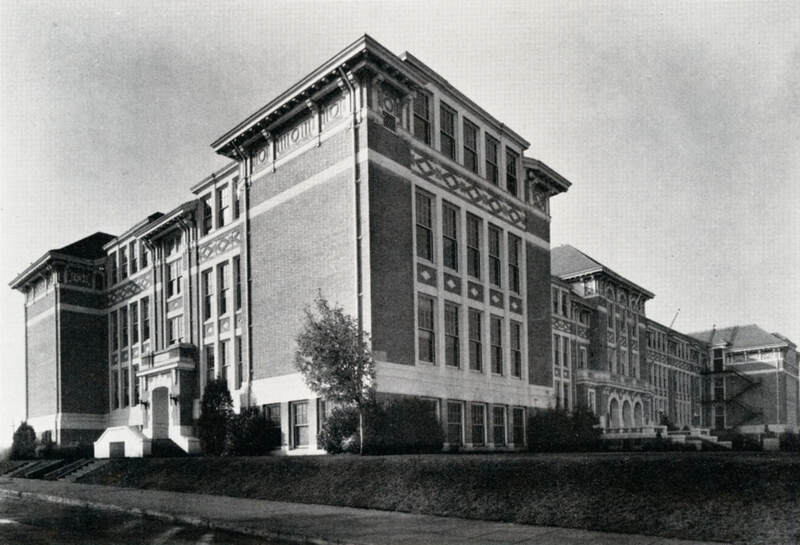 Photograph of Jefferson High School from the 1947-1948 yearbook "Spectrum". Courtesy of Harold Kammerzell.